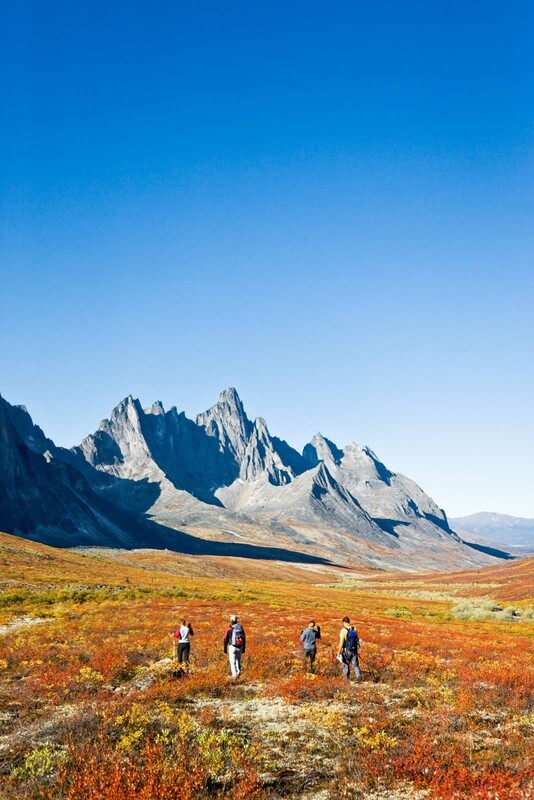 Tombstone Territorial Park is a place where you can truly lose yourself in nature. The park is over 2,200 square kilometres and borders some of the widest spans of roadless, untouched wilderness on the continent. 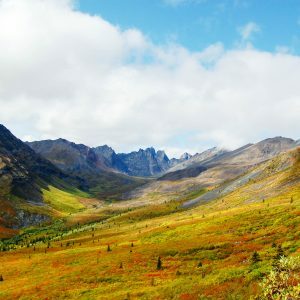 Hikers and photographers are attracted by tundra landscapes, vibrant arctic flowers and dwarf willows, and the towering black peaks. Wildlife viewers are rewarded by the diversity of species including bears, sheep, caribou, and an extraordinary variety of birds. 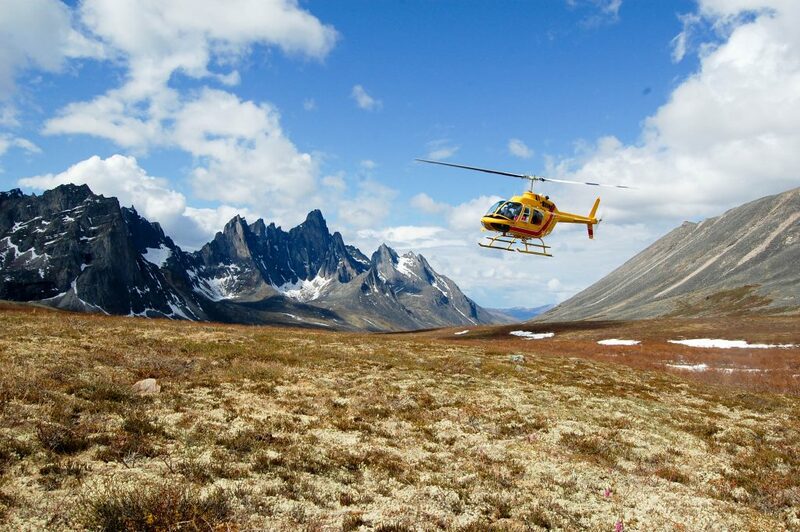 Our exclusive tour begins with a helicopter flight into the heart of the park, where we’ll establish a base camp at a high and seldom-visited alpine lake. From here, we have four days to explore the surrounding ridges and valleys. The tour finishes with a day in fun-filled and historic Dawson City. This trip is designed to connect with our exciting tour down the equally remote and rarely visited Beaver River. See Explore Secret Waterways for more details. 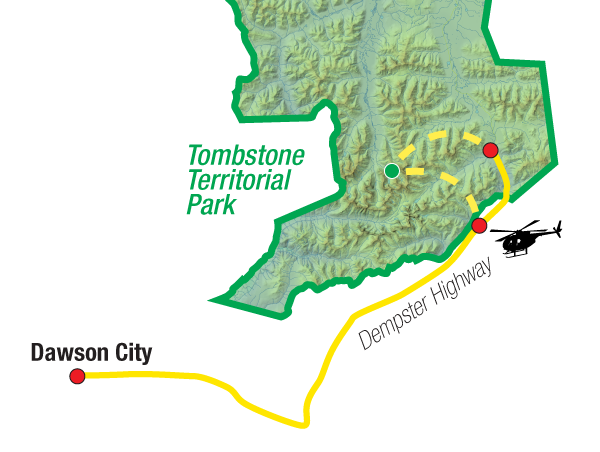 Early in the morning we will take a van up the Dempster Highway to Tombstone Territorial Park. 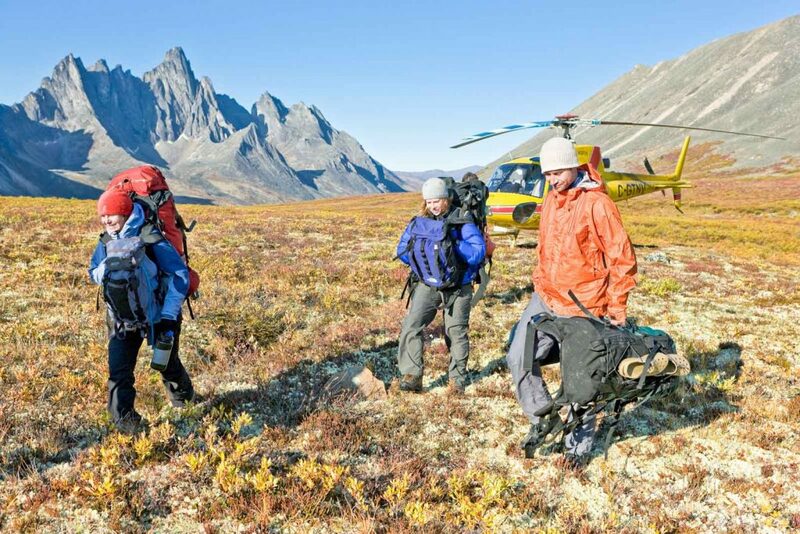 A helicopter will meet us at the a roadside landing spot, to transfer us and our equipment over to our Base Camp at Azure Lake. 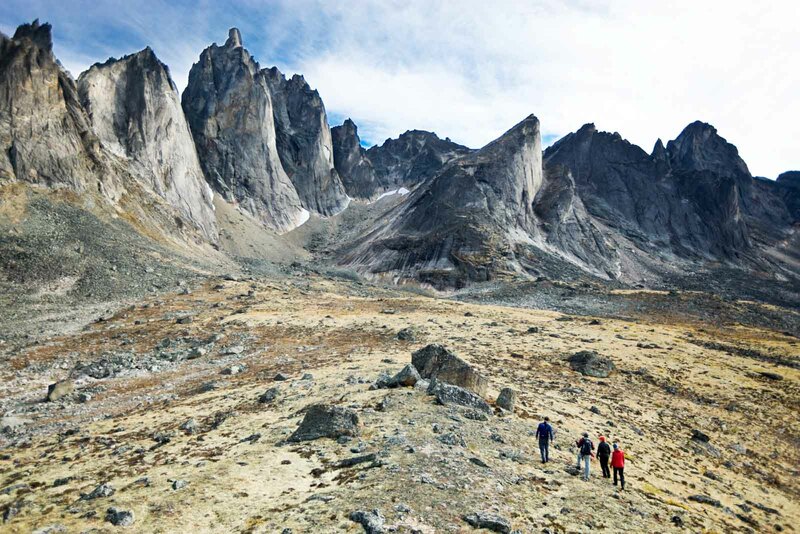 The flight itself is a spectacular chance to see the enormous landscape and jagged peaks of the Ogilvie Mountains from above. We’ll make camp and have time for a brief hike in the evening. These next four days will be spent exploring the magnificent alpine hills and mountains around our base camp. We’ll hike the mountain ridges and valleys to Syenite Lakes, Divide Lake and Tombstone Mountain. 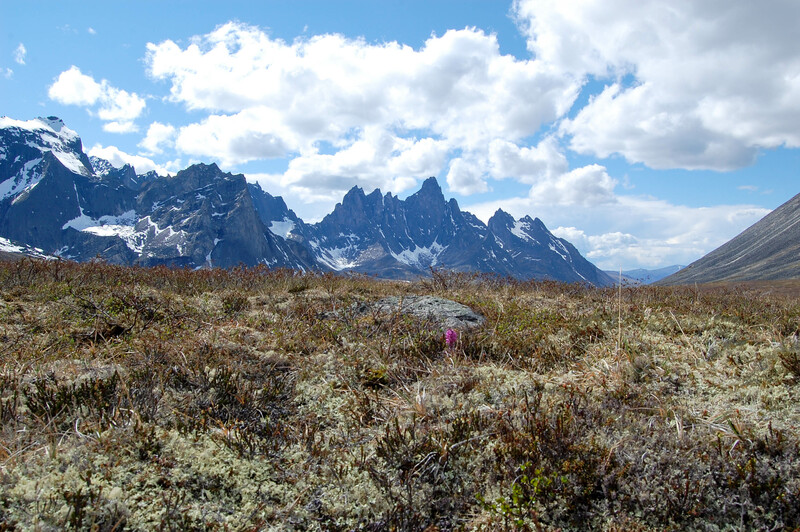 The hike to Syenite Lakes takes us over a pass and into a great open northern mountain valley. Here, a ridge of mountains runs parallel to the West Blackstone River and it is accessible from Azure Lake. The ridge allows to get up high and have a look around at the surrounding landscape. 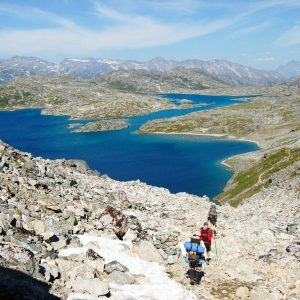 The immediate area surrounding Azure Lake area provides excellent hiking opportunities as well, with a number of small lakes surrounding the main lake, all worth exploring.